Qurtuba Publishing House is ran by three young sisters from Somalia and aims to bring pertinent issues to Muslims to the forefront of public attention through cutting edge publications. The Ofi Press caught up with Ilhan Ibrahim about the inspiration behind the project and their many successes to date. Interview carried out by Jack Little in July 2015. 1. What was the inspiration behind starting your own publishing house? Our inspiration for creating a publishing house came from various sources. Firstly, with the misrepresentation of the Muslim world, we felt that we had a social and religious obligation to help shift the Muslim narrative, and provide Muslims with the tools necessary to counter the growing challenges in Muslim communities today. The Muslim world represents 1.6 billion people and we are not at all homogenous. We are diverse, dynamic and active members of our communities and have a lot to give. We wanted to start sharing voices and perspectives that aren’t heard not only in mainstream news but within the Muslim community. 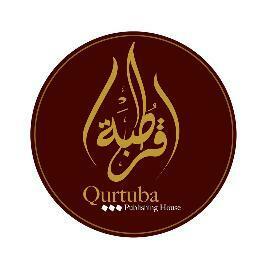 Secondly, our inspiration came from the very name of our publishing house: Qurtuba. Qurtuba, also known as Cordoba in English, was a remarkable city in Islamic Spain. Cordoba was a thriving city and an epicentre of knowledge and academia. Along with many other centers of knowledge in the Muslim world, Cordoba served as a gateway into a realm of knowledge unknown to most of the world at the time. These momentous achievements within various fields of scholarship not only impacted the course of history, but has also immense influence in the world of scholarship today. These cities created a timeless representation of how Muslims can leave a significant and innovative impact in their communities. Cordoba was a melting pot of the East and the West, thus producing mutual understanding, religious and cultural diversity, and tolerance. Our vision is to carry on this legacy and create knowledge-sharing platforms to support social growth and productivity in Muslim communities world-wide. 2. Please tell us about the writing that you publish. Currently, Qurtuba Publishing House publishes non-fiction materials. The focus of our publications is to tackle pertinent issues in Muslim communities, particularly in a Western context. Many of the books we have published serve as anecdotal guides which not only provide practical solutions, but the authors relate to the readers through their own experiences, creating an intimate connection with the readers. Some of our publications include “A Guide to Overcoming Inter-Generational Conflicts with Immigrant Parents” and “How to be a Muslim Woman Entrepreneur”. We are currently publishing other books entitled “The Health Conscious Muslim: One Muslim Woman’s Journey of Navigating the World of Health and Fitness” and “Lead Like Muhammad: 25 Proven Leadership Lessons from the Life of the Prophet”. We aspire to expand our publications to cover topics such as environmentalism, leadership sustainability and personal finance from Islamic Perspective in hope to revive these aspects of Islam that have been forgotten in the contemporary Muslim world. We have received many requests to publish fiction and poetry books from writers all around the world. Expanding Qurtuba Publishing House to publish such books is definitely something we are considering in the near future, and we hope to connect with the many talented authors globally to make this aspiration come true. 3. What is the overall objective of Qurtuba Publishing and how are you achieving this goal? For so long, many Muslims (including ourselves) felt there was a void in the services whose primary goal is to shift the Muslim narrative and counter the growing challenges in Muslim communities. We believe that the solution to these issues isn’t the production of more books. The world is full of books, however, we need to question whether or not the knowledge that is being acquire from these books is being applied to these problems. That is the void that Qurtuba Publishing House wishes to fill. Our primary objective is to create knowledge-sharing platforms to discuss relevant and current issues that are pertinent to the contemporary Muslim. For example, one big issue Muslims are currently facing is the issue of economic resiliency. A fact that few know is that the global Muslim market is a $2 trillion dollar market; $150 billion dollars are spent annually in North America alone yet with the incredible business opportunity that exists to serve Muslim consumers, very little is being done by way of fostering entrepreneurship in Muslim community. Our guide, “A Guide to Business and Entrepreneurship in Islam” tries to help bridge the gap between the modern business and start-up world by promoting entrepreneurship in Muslim communities in a voice they understand. Another example is are the issues surrounding healthy living. Many Muslims, particularly Muslim woman, find it challenging to navigate the world of health and fitness with the traditional or cultural restrictions that they face. ‘The Health Conscious Muslim: A Muslim Woman’s Journey of Navigating the World of Health and Fitness” provides informative and education content in hopes to create awareness surrounding the significance of the health and fitness status of a Muslim, utilizing literature from both Islamic and non-Islamic sources, in hopes to empower Muslims to reclaim their health. At the moment, we are currently developing workshops for our books to create spaces for Muslims to discuss ideas, develop tools and skills, and inspire leadership and engagement in their communities. We believe that Qurtuba Publishing House is a catalyst in sparking an intellectual revival in Muslim communities. We do not believe that we can shift the Muslim narrative alone, rather we are a part of a collective movement to empower and inspire Muslims across the globe to overcome the challenges the Muslim world faces. Through Qurtuba Publishing House, we wish to motivate a new wave of leaders who will create solutions to the issues Muslims face today, and in turn, reclaim the Muslim narrative. 4. What have been some of the highlights and challenges that you have faced so far? By far the greatest highlight since our launch on July 3rd is the overwhelming love and support we have received from Muslims and non-Muslims alike all across the globe. Many individuals have personally expressed their support of our publishing house, stating it is a venture that is desperately needed in Muslim communities, and commending us for creating an initiative that helps shift the Muslim narrative. We’d like to thank everyone for voicing their support, as well as our critics who have help us provide greater services to our readers. I believe the challenges we’ve faced, and will continue to face, is to maintain a level of relevance and consistency with our readers. The vision of Qurtuba Publishing House is to produce content on issues that the contemporary Muslim faces today. However, in the dynamic world we live in, Muslims are faced with an almost insurmountable number of social, religious, cultural, economic and political issues. We hope that we will continue to produce publications that resonate with our readers and provide a sense of guidance to overcoming such obstacles. 5. How does being so far from your birth country impact upon you sense of identity and purpose? Neither I nor my sisters were born in our family’s homeland of Somalia. We were all born and raised in Canada. We have lived in Canada our whole lives, and consider this country to be our home. A significant part of our identity is Canadian, however, our identity is diverse. We are Muslim, Somali, Canadian, and Western. Though it has its challenges, I do not believe that these aspects of our identity come into conflict. Rather, having such a diverse identity allows us to be a part of and promote social growth in many communities and cultivate a strong relationship with people from all religions and all walks of life. 6. How can the public support Qurtuba Publishing? The success of Qurtuba Publishing House ultimately depends on our readers and supporters. As mentioned, many Muslims and non-Muslims across the globe have voiced their support of this initiative in hopes that it will contribute to a more representative and positive image of Muslims globally. In order to shift the Muslim narrative, Qurtuba Publishing House must reach out and connect with as many organizations and institutions, as well as readers, academics and scholars, in hopes that they will become a part of our global vision to re-define and reclaim the Muslim narrative. We would be honoured if readers purchased our books and shared them with friends, family, co-workers- both Muslim and non-Muslim alike. It through this we can reverse the negative portrayal of Islam, and begin a new era of productivity in Muslim communities’ world-wide. 7. What recommendations do you have for other young social entrepreneurs? I would advise all young aspiring entrepreneurs and leaders to pursue their passion to bring change and aspire to build a better world regardless of the obstacles you might face. With each day that passes, we are shown more and more how we need to rethink our current situation and rebuild our future to more sustainable way of life. If you have a passion to find solutions to social issues or developing a community project that will bring change and productivity, then believe in yourself and take that first step to achieving your goal. Seek out mentors, teachers and other entrepreneurs who can provide you with guidance and encouragement to pursue your ambitions. The change that our world so desperately needs is in the hands of youth, thinkers and creatives. You are the catalyst to challenge the current social structure in our communities- as it has proven to be less than reliable. You will face overwhelming obstacles on your journey, but preserve in your pursuit for personal, communal and global change and you will see your communities prosper and flourish.